Welcome to Binary Ninja. This introduction document is meant to quickly guide you over some of the most common uses of Binary Ninja. Binary Ninja uses two main locations. The first is the install path of the binary itself and the second is the user folders for user-installed content. Do not put any user content in the install-path of Binary Ninja. The auto-update process of Binary Ninja may replace any files included in these folders. 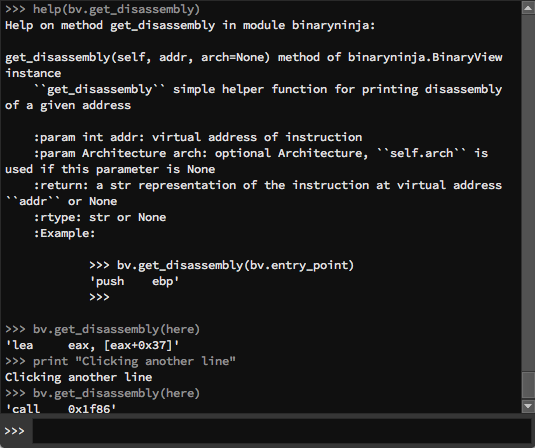 lastrun: A text file containing the directory of the last BinaryNinja binary path -- very useful for plugins to resolve the install locations in non-default settings or on linux. 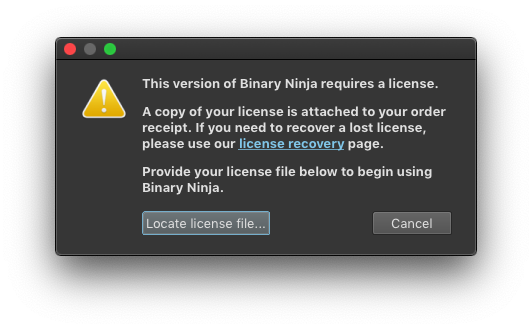 When you first run Binary Ninja, it will prompt you for your license key. You should have received your license key via email after your purchase. If not, please contact support. Once the license key is installed, you can change it, back it up, or otherwise inspect it simply by looking inside the base of the user folder for license.dat. Because linux install locations can vary widely, we do not assume a Binary Ninja has been installed in any particular folder on linux. Rather, you can simply run binaryninja/scripts/linux-setup.sh after extracting the zip and various file associations, icons, and other settings will be set up. Run it with -h to see the customization options. Opening a file using the binaryninja: url handler. For security reasons, the url handler requires you to confirm a warning before opening a file via the url handler. The url handler can open remote URLs like: binaryninja:https://captf2.captf.com/2015/plaidctf/pwnable/datastore_7e64104f876f0aa3f8330a409d9b9924.elf, or even local files like binarynina://bin/ls in cases where you wish to script up Binary Ninja from a local webapp. As soon as you open a file, Binary Ninja begins its auto-analysis. Even while Binary Ninja is analyzing a binary, the UI should be responsive. Not only that, but because the analysis prioritizes user-requested analysis, you can start navigating a binary immediately and any functions you select will be added to the top of the analysis queue. The current progress through a binary is shown in the status bar, but note that the total number of items left to analyze will go up as well as the binary is processed and more items are discovered that require analysis. 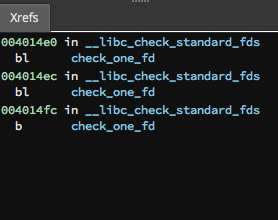 Errors or warnings during the load of the binary are also shown in the status bar, along with an icon (in the case of the image above, a large number of warnings were shown). The most common warnings are from incomplete lifting and can be safely ignored. If the warnings include a message like Data flow for function at 0x41414141 did not terminate, then please report the binary to the bug database. 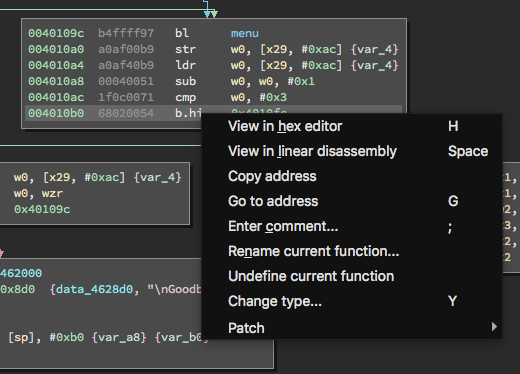 Navigating code in Binary Ninja is usually a case of just double-clicking where you want to go. Addresses, references, functions, jmp edges, etc, can all be double-clicked to navigate. Additionally, The g hotkey can navigate to a specific address in the current view. Switching views happens multiple ways. In some instances, it's automatic (clicking a data reference from graph view will navigate to linear view as data is not shown in the graph view), and there are multiple ways to manually change views as well. While navigating, you can use the view hotkeys (see below) to switch to a specific view at the same location as the current selection. Alternatively, the view menu in the bottom-right can be used to change views without navigating to any given location. 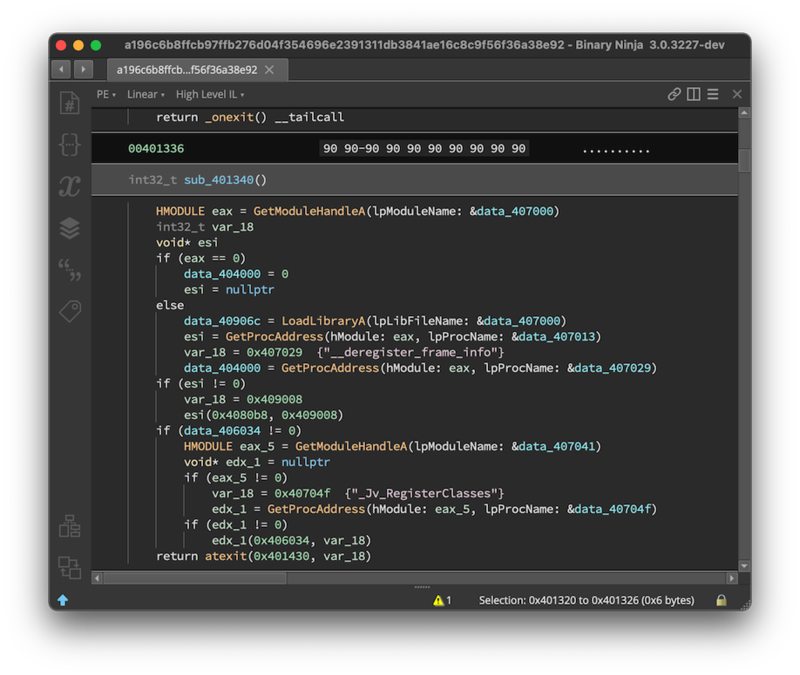 The default view in Binary Ninja when opening a binary is a graph view that groups the basic blocks of disassembly into visually distinct blocks with edges showing control flow between them. Each of the views (Hex, Graph, Linear) have a variety of options configurable in the bottom-right of the UI. 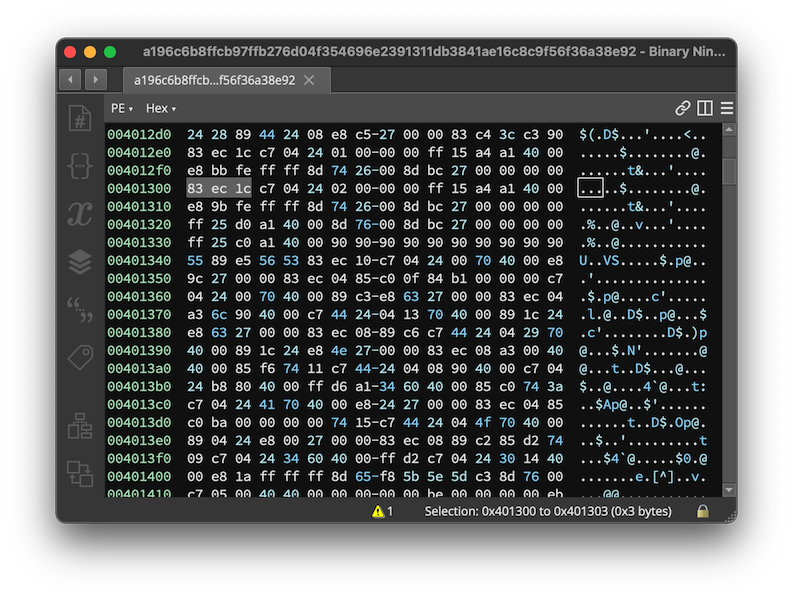 The hexadecimal view is useful for view raw binary files that may or may not even be executable binaries. The hex view is particularly good for transforming data in various ways via the Copy as, Transform, and Paste from menus. Note that Transform menu options will transform the data in-place, and that these options will only work when the Hex View is in the Raw mode as opposed to any of the binary views (such as "ELF", "Mach-O", or "PE"). Note that any changes made in the Hex view will take effect immediately in any other views open into the same file (new views can be created via the Split to new tab, or Split to new window options under View.). This can, however, cause large amounts of re-analysis so be warned before making large edits or transformations in a large binary file. The xrefs view in the lower-left shows all cross-references to a given location or reference. Note that the cross-references pane will change depending on whether an entire line is selected (all cross-references to that address are shown), or whether a specific token within the line is selected. One fun trick that the xrefs view has up its sleeve: when in Hex View, a large range of memory addresses can be selected and the xrefs pane will show all xrefs to any location within that range of data. Linear view is a hybrid view between a graph-based disassembly window and the raw hex view. It lists the entire binary's memory in a linear fashion and is especially useful when trying to find sections of a binary that were not properly identified as code or even just examining data. The function list in Binary Ninja shows the list of functions currently identified. As large binaries are analyzed, the list may grow during analysis. The function list starts with known functions such as the entry point, exports, or using other features of the binary file format and explores from there to identify other functions. 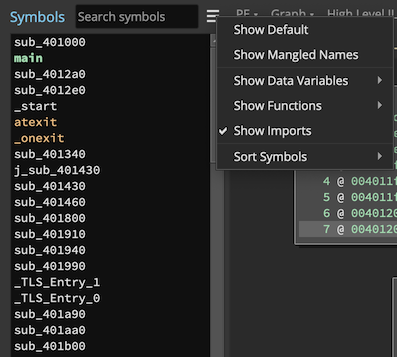 The function list also highlights imports, and functions identified with symbols in different colors to make them easier to identify. To search in the function list, just click to make sure it's focused and start typing! The integrated script console is useful for small scripts that aren't worth writing as full plugins. To trigger the console, either use <CTRL>-<BACKTICK>, or use the View/Script console menu. Once loaded, the script console can be docked in different locations or popped out into a stand-alone window. Note that at this time window locations are not saved on restart. The current script console only supports Python at the moment, but it's fully extensible for other programming languages for advanced users who wish to implement their own bindings. Alternatively, plugins can be installed with the new pluginmanager API. For more detailed information, see the plugin guide. Look in the local symbol store. This is the directory specified by the settings: local-store-relative or local-store-absolute. The format of this directory is foo.pdb\<guid>\foo.pdb. Attempt to connect and download the PDB from the list of symbol servers specified in setting symbol-server-list. Prompt the user for the pdb. 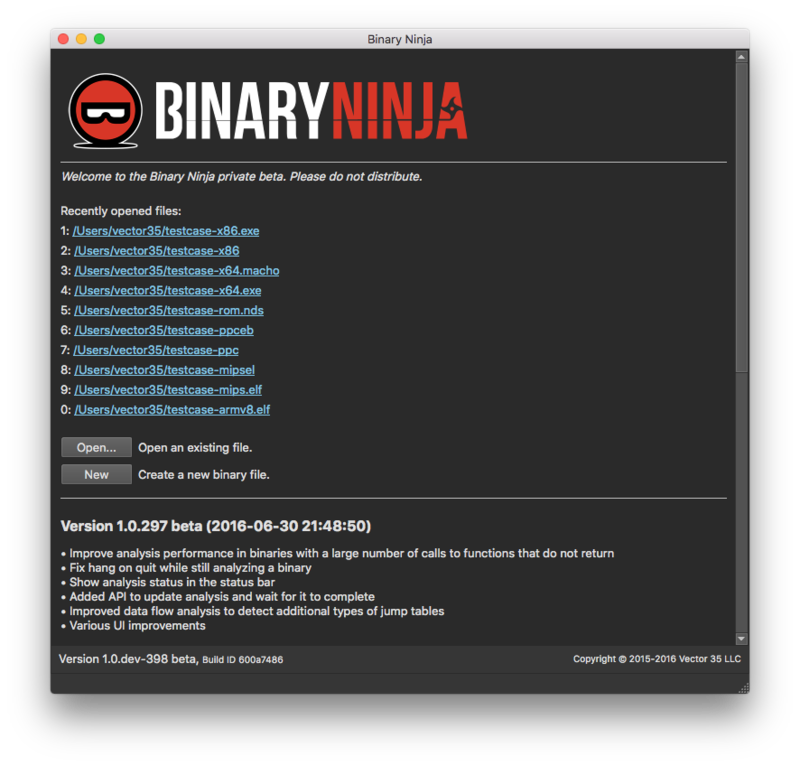 Binary Ninja automatically updates itself by default. 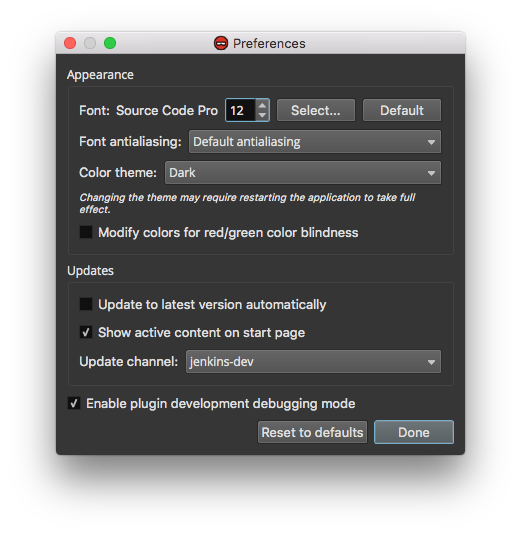 This functionality can be disabled in the preferences by turning off the Update to latest version automatically option. Updates are silently downloaded in the background and when complete an option to restart is displayed in the status bar. Whenever Binary Ninja restarts next, it will replace itself with the new version as it launches. On windows, this is achieved through a separate launcher that loads first and replaces the installation before launching the new version. On OS X and Linux, the original installation is overwritten after the update occurs as these operating systems allow files to be replaced while running. The update on restart is thus immediate. arch x86.disassemblyFlavor string "BN_INTEL" "BN_INTEL", "INTEL", or "AT&T"
pdb symbol-server-list list(string) ["http://msdl.microsoft.com/download/symbols"] List of servers to query for pdb symbols. On Mac OS X, Ctrl refers to the Command key, while Meta refers to the Control key. This is a remapping performed by Qt to make cross-platform keybindings easier to define. Currently, Unicode support for Big Endian strings is very limited. Also, UTF-16 only supports Basic Latin code points. 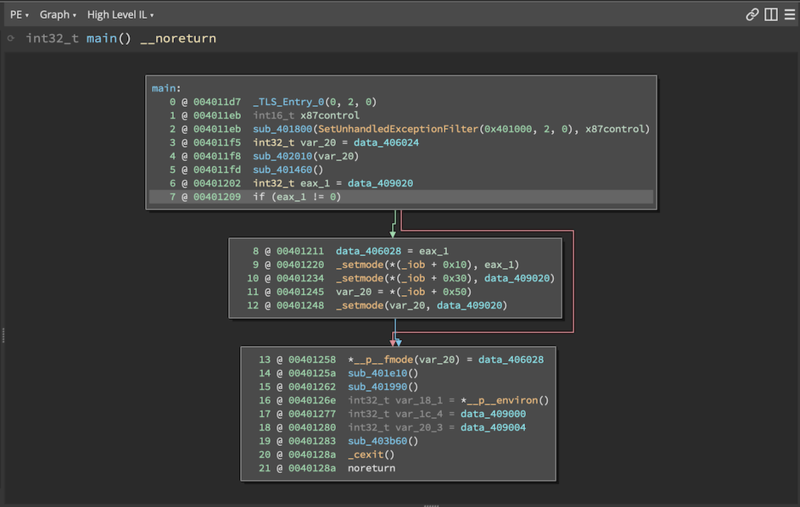 Vector 35 offers a number of ways to get Binary Ninja support.